New Overwatch Hero Orisa Launches Today | Nerd Much? 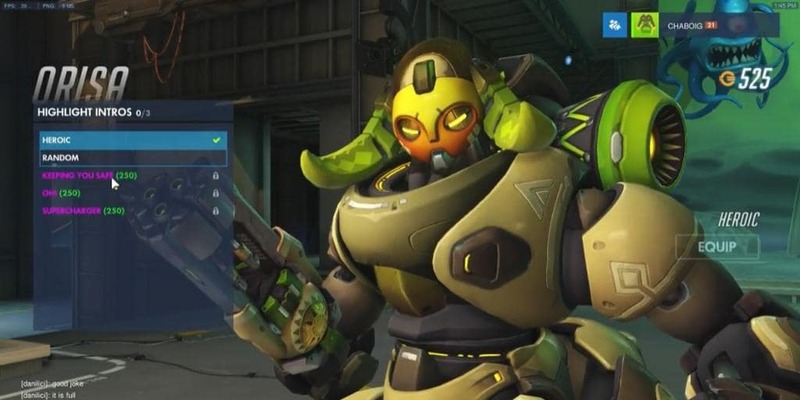 Orisa is finally debuting outside of the PTR today and everyone will be able to sink their teeth into her awesome array of weapons and abilities. She comes in a free update for the PC, Xbox One, and PS4 and has already joined the live servers. Orisa was created by genius inventor Efi Oladele in a bid to better protect her home city, Numbani from the as yet unexplained Doomfist. She certainly seems capable of protecting an entire city with all of the amazing weapons she gets, including the very interesting Halt! This is a graviton charge that pulls any nearby enemies towards it to be dealt with quickly with a bomb or something similar from another player. As with all the other heroes, Orisa comes with the usual variety of sprays, emotes, victory poses, voice lines, and highlight intros. The sprays are simply as it sounds, a coat of paint that merely changes the colour of Orisa’s armor. Sprays have no armor or weapon advantages, they are for looks only. Her emotes are fairly Gryffindor-like, the kind of lines Superman from the old cartoons would shout now and then. Her victory poses certainly draw attention to her for legged form, and look badass in each one. Let us know what you think of Orisa in the comments below! How does she fit into your usual teams?